I'm not what I thought… I'm more than I've been. As I scan my timelines, I see battles. I see people taking sides over current events. Good people. Well-meaning people. All with different opinions. All saying they are not arguing but just trying to prove they are right and that the person who disagrees with them is not just wrong but that they are an idiot. To be honest most of the people I see making comments and posting on FACEBOOK do not have clue as to what they are talking about. Most of them have grown up in protected environments and have NEVER faced anything remotely close to what is going on in the news. That includes me as well. I find it so ridiculous that so many of the posts on my FACEBOOK wall are re-posted from satire political sources. If you are re-posting stuff without doing some research to see that it is legit then why bother? All you are showing is your ignorance. If you’re getting your news from “The Onion” or any other satire site and thinking it is real then you have a serious problem. Here is NEWS for you… ALL NEWS SOURCES and the Republicans, Democrats and the much hated, Tea-Party ALL have sites that are filled with propaganda. All of these “sources” have agendas and they play all of us. I constantly get posts that when truly researched there is just enough truth to stay on topic but the trouble starts in the details of the articles. Most of it is WRONG. Again… those of you posting those things, please at least try to do some research. People try to come off on FACEBOOK as if they have the answer… they are right and if you disagree you are naïve, uneducated and/or just plain stupid. They present themselves as having the answer to all problems because so many of them post and comment on things such as the issues in Ferguson, the Eric Garner Death in New York, Immigration, Amnesty, the Keystone Pipeline, Voter ID laws, Fracking, Global Warming, Net Neutrality and a boatload of other topics. Now most of these people I know. I know where they come from and I know where they grew up. In most cases I know their education level. Most of those I see post barely got out of high school and if they did go on to college they surely did not take the subject matter to be the experts and know-it-alls they come off to be on FACEBOOK. Now before you think I am coming off as being the only “smart one”… I am not. I learned long ago that FACEBOOK is not the arena to discuss or have legitimate debate about issues of politics, science, music or Christianity. Truth is… I don’t have all the answers and I don’t waste my time trying to convince people to change their mind on FACEBOOK. I know what I believe and I know what I think. People are entitled to have their opinion and have a right to believe what they believe. But just because you think differently from me does not make you right. I have discovered that those issues I tried to convince people was right when I was 30 years old were really wrong now that life experience has shown me how wrong I was. I don’t care if you post what you believe or even what you think… but if you are trying to use FACEBOOK as a platform to change people’s minds you are crazy. 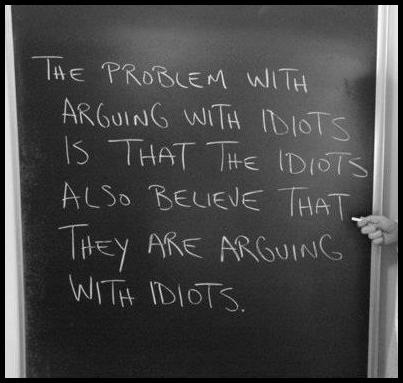 People do not want to discuss or debate…they want to ARGUE. I have yet to meet anyone that said…”Wow, I am glad you posted that article from (Blue Nation Review / Fox News) cause it changed my mind and now I am going to become a (liberal / conservative)”. So who is right and who is wrong? That’s not for me to decide. Again, truth is… none of these well-meaning people have the “right” to tell the other that they are wrong or right. It only causes a deeper divide in this country. We are more polarized than ever. No matter what side of the coin you are on… each think that the person on the other side is wrong and an idiot. There once was a time that we could find common ground… now I think we have lost that in America… sadly I think our country will never be the same. HERE IS MORE NEWS… WE ARE ALL TO BLAME FOR THIS!!! At least for a few moments can we experience “peace on earth and good will to men” even if that simply means with those friends that disagree with you. For this moment, for this season, can we put down our verbal weapons? Can we call a truce? Can hate not be so strong? Can we try to finish 2014 and enter 2015 with peace and hope of goodwill where there once was division, hate, unrest and hateful words. In this Christmas Season… let’s have our conversation stay out of the mine fields of division and let’s love our families while we can regardless of which side of the argument they fall on. My prayer that we honestly experience peace on earth in our relationships and in our families. Merry Christmas and let us all hope for a better way. © David Michael Lee 2019. Unauthorized use and/or duplication of this material without express and written permission from this blog’s author and/or owner is strictly prohibited. Excerpts and links may be used, provided that full and clear credit is given to David Michael Lee with appropriate and specific direction to the original content. Your comments and thoughts are welcome. All views are welcome, but there are some basic rules that will apply to those who comment on this blog. 1. Any view is welcome, but no profanity is allowed. 2. Anonymous comments are welcome, but if you are unwilling to give your name your questions as "anonymous" may not be answered or addressed. 3. I rarely approve comments. Usually only those from my close friends and family. 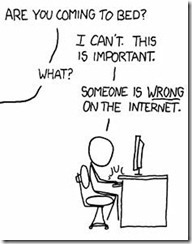 Almost always, I will respond to each comment regardless of the source. I reserve the right to delete any comment without any reason at all. 4. This is intended as a devotional and inspirational site. I choose not to make it a platform for theological debate, although I will write about what I believe. 5. Have fun. I hope my words encourage you. Warnings: Reader assumes full responsibility for the proper and prescribed use of this site. For external use only. Discontinue if rash, redness, irritation, or swelling develops. May contain nuts. If swallowed, do not induce vomiting. Side-effects may include drowsiness or mild to severe agitation. Do not read while operating heavy machinery. Appoint a designated reader if needed. Keep away from open flame. Do not store above 451 degrees. Do not use near or place in water. Void where prohibited by law, taxed or licensed.